This is the first textbook to use food as the vantage point from which to study Spanish and acquire cultural literacy. 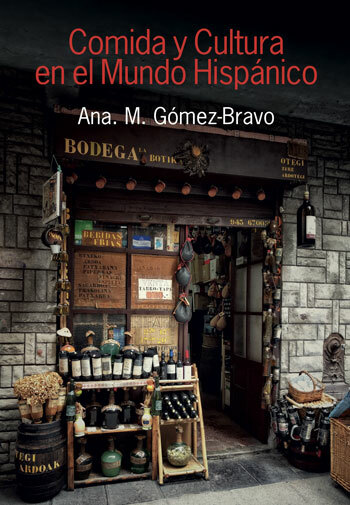 It presents a rich introduction to food and food practices across the Hispanic world. It serves advanced secondary-level/high school students and students in third- and fourth-year Spanish at the university level who are furthering their knowledge of Hispanic cultures. Information is organized according to topics and key concepts, with historical and literary texts acting as enrichment and support for cultural concepts. Each chapter is comprised of a main reading on a key topic (for example, Aztec food practices) and followed by smaller sections on particular concepts or artifacts related to the main topic. There are sections on related language expressions, topics for discussion and suggested activities. Each chapter also contains illustrations in the form of colour photographs. Suggestions for video, audio and web links are listed for each chapter. The book has been successfully used in the author’s university classes on food and culture over a number of years. It provides an attractive alternative to well-established curricular offerings because it allows for the discussion of culture and literary texts in a context that is both familiar and appealing to students. The textbook includes multimedia presentations that make the material and concepts easy to grasp. Resources for each chapter may be freely downloaded from this site.